This walking tour takes approximately 2 hours. Some Black history has been lost over the years. 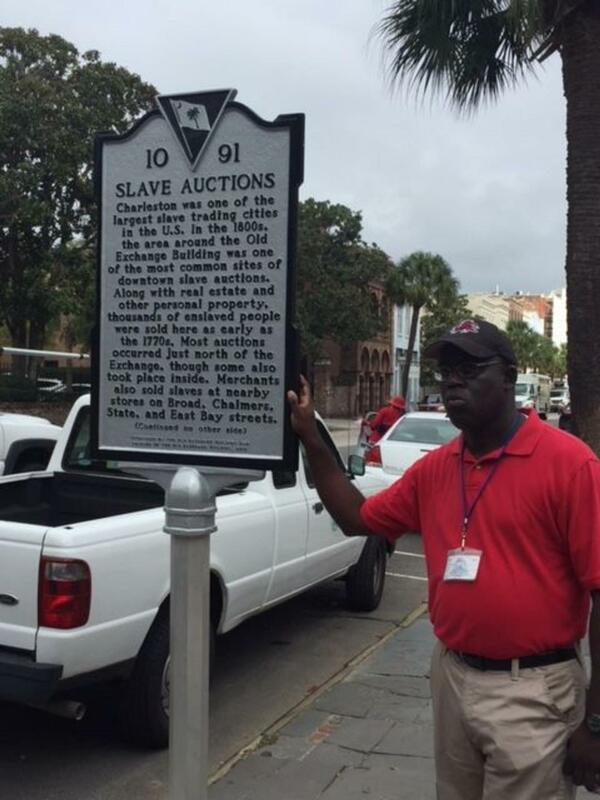 This is why you need to take the Lost Stories of Black Charleston Walking Tour. Learn about the people, environment, places and the times of Charleston forgotten Blacks. The tour will take you to areas or street that has plenty of secrets and history of slavery that has not been told over the year, to the old or to the young generation. Learn about the forgotten blacks of Charleston. See the important places where black heroes ( women or men) made unknown history. Get a new perspective of Charleston's Black history by taking the Lost Stories of Black Charleston Walking Tour. You will found some intriguing facts and obtain important knowledge of that time. Arrive at the Tour Charleston Headquarters, located at the corner of Concord and Cumberland, at 9:45am. Meet your professional guide and then begin your 2-hour walking tour by going into the heart of old Charleston. 'IF THESE STREETS COULD TALK...' and now they will. Author, historian, educator and licensed tour guide, Damon Fordham combines his powerful blend of artful storytelling with solid historical and personal perspective. Visit sites starting with the Charleston City Market, then on to Jehu Jones Hotel, Catfish Row (of Porgy and Bess fame), the Heyward Washington House, the Federal Courthouse, the Old Slave Mart and others. See and hear about lesser known places where heroes and heroines made history...but missed the history books. Walk the path from slavery through Reconstruction to civil rights. End by walking along the beautiful Charleston Harbor through Waterfront Park. Discover the forgotten stories of black Charleston on this captivating walking tour.